Amazing John Byrne piece of artwork. Many of his X-men pieces sell for 10s of thousands. This is a beautiful early piece at a Fraction if the cost from Hulk Annual 7. 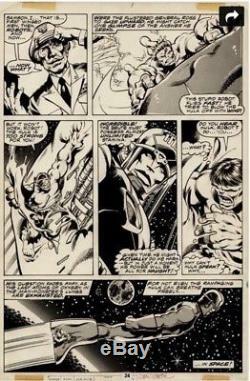 The item "Hulk Annual 7 original art work by John Byrne" is in sale since Wednesday, May 02, 2018. This item is in the category "Collectibles\Comics\Original Comic Art\Drawings, Sketches". The seller is "gavin2344" and is located in Scranton, Pennsylvania. This item can be shipped to United States.